A new report found 480,000 low-paid workers earn less than the living wage in Scotland. Labour: The party plans to increase wages for low-paid workers. 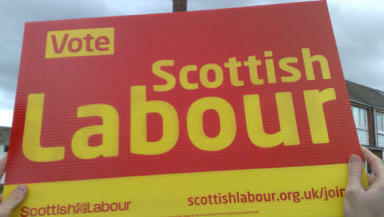 Almost 500,000 people in Scotland could get a pay rise of more than £2,600 under Labour proposals, a think tank has said. The party's plans would see their earnings increased to £10 per hour in 2020, estimated to be worth about £2,640 a year. Scottish Labour leader Richard Leonard said: "Hundreds of thousands of people in Scotland are being held back by low pay. "Labour will transform the workplace by creating a £10 an hour minimum wage, end exploitative zero-hours contracts and strengthen trade unions to give more power back to workers. "Labour will put more money in people's pockets and bring real change to our economy so that it works for the many, not the few."